Hi there! I’m Lydi from Lydi Out Loud and I’m so excited to share one of my favorite tricks with you today. I’m a big fan of chalkboard signs, however I’m not a big fan of my handwriting (neither are the unfortunate folks who have to (try to) read it). My chalkboard sign goals came to fruition when I realized I could fake perfect chalkboard lettering with my Cricut and I’ve been a crazy chalkboard sign lady ever since. Cut chalkboard vinyl to desired size. Erase all negative space by clicking in white areas. Save as a cut file and cut. Weed negative space from the design, pick up lettering with transfer tape and apply to chalkboard. Scribble chalk on chalkboard vinyl on and around the lettering; rub most of it off with a paper towel (this gives it a more authentic chalkboard look). Prefer to use actual chalk for your lettering? Cut your chalkboard lettering design out of stencil vinyl and fill in the stencil with chalk or chalk marker. 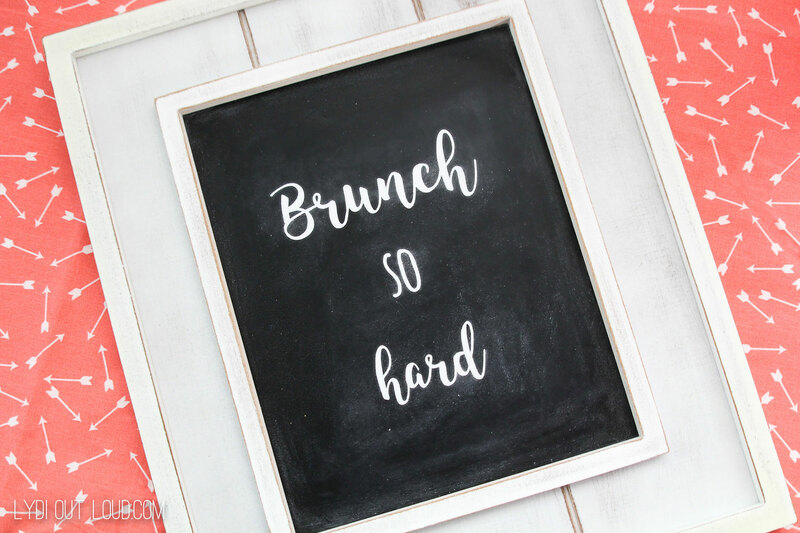 Well my secret is out… it’s that easy to create perfect chalkboard lettering with your Cricut! So cute! I like any project involving chalkboards. Why not just stick vinyl on to an actual chalkboard? I’ve tried doing that very thing but it didn’t work for me because the chalkboard surface was so porous, the vinyl would not stay on. I ended up using chalkboard fabric (which I didn’t even know existed until then) and it worked well. The fabric had somewhat of a vinyl feel to it (similar to oilcloth fabric, if you’re familiar with that) so maybe it’s the same thing as chalkboard vinyl. Hope this helps. That works too! For this project I wanted to use this specific picture frame so the chalkboard vinyl is perfect when you want to customize a chalkboard project. Thanks Belinda! This is a font from my computer, I didn’t see anything comparable. I love this! 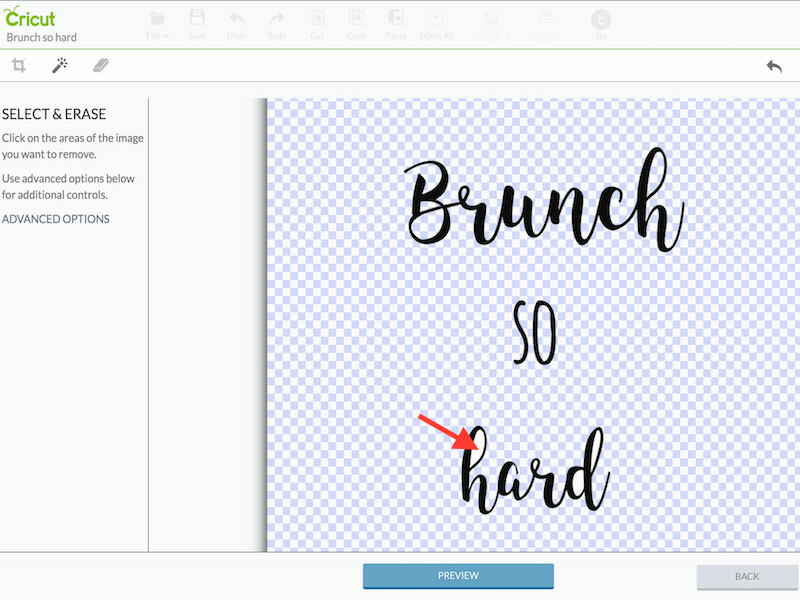 What font did you use for “Brunch” and “hard”? Thank you! Thanks Cheryl! 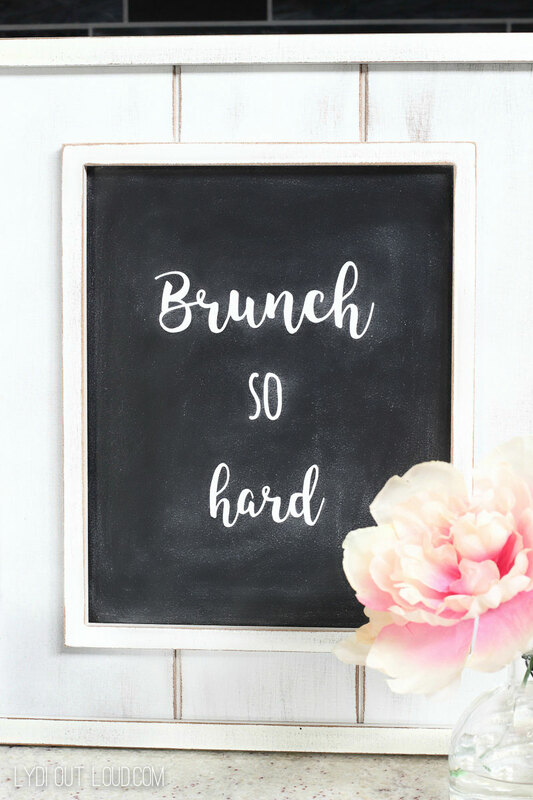 The font for “Brunch” and “hard” is called Spiffy McGee. I would like the name of the font used as well! HI Dianne! The font for “Brunch” and “hard” is called Spiffy McGee and the font for “the” is called Cookies & Milk. I just did the stencil and filling in with a chalk marker the other night, it came out so much better than I thought it would but I think I’ll do the vinyl next time. Filling it in was time consuming and I had to go over it a few times to achieve the perfect look. Oh my goodness! I have a Cricut, but have not thought to do this! I am saving this to try later! Thanks for sharing! Very cool idea! I that way to add chalk lettering. I’ll have to try this with my Silhouette. Thank you for sharing on Merry Monday! Sharing on G+ Have a great week! I am in love with chalkboard paint never thought about different lettering but what a great way to look so cute and decorative. I found your post on Craft Frenzy Friday. I’m having issues cutting my reusable stencils. The letters aren’t cutting properly. 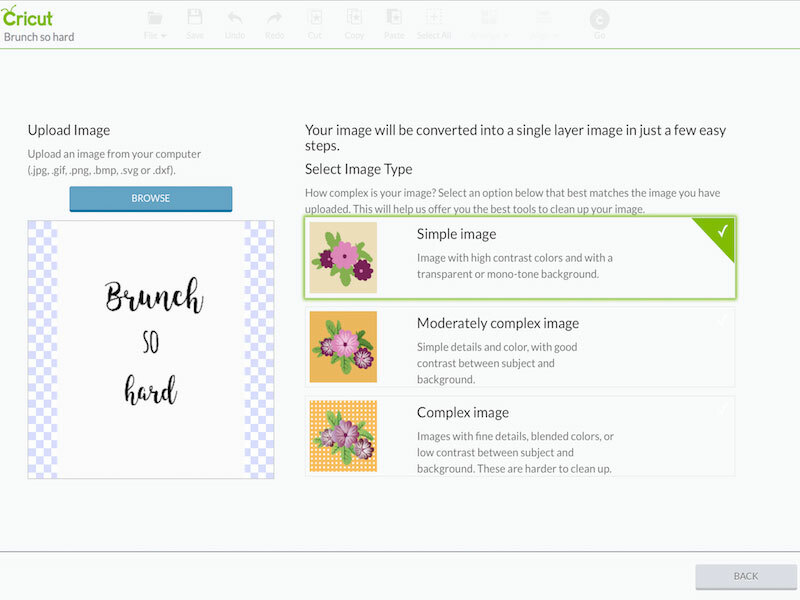 How do I make word stencils? Make sure that you have set your machine to the proper thickness for the stencil material that you are using. That should help you cut out the letters successfully. Thanks for sharing this technique! I tried another project with vinyl and chalkboard and when I tried to rub the final on it peeled the chalkboard paint off, do you have a suggestion for that?